"If you are making something that makes your heart sing, if you enjoy it, if it connects you to your higher self, if it connects others to their higher self, even for a few breif moments, then yeah, you're an artist." Luann Udell (Artist-Jewelry Designer), Who is an Artist? ​​I'm a mommy of two, wife, artist, DIY connoisseur, and a certified wedding and event coordinator! Art has always been a passion of mine since I was little. 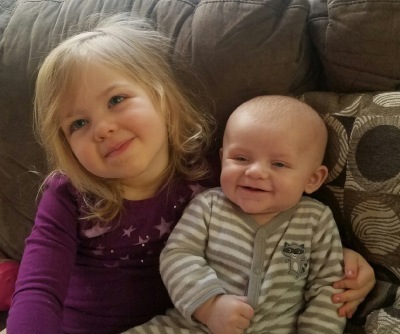 After having my daughter and son I have tried endlessly to come up with ideas to earn income while still being able to stay home with my litte ones and my husband. The idea of starting a mobile painting party service initially came from my sister, Annemarie. I owe her a huge thank you! My thought behind The Social Palette is to provide a service that creates a fun and relaxing atmostphere and to guide people through discovering their inner artist!